Architectural competitions have been a longstanding tradition in the design profession. They allow architects to gain publicity and recognition for their work while simultaneously infusing new and innovative ideas into the field. They promote cutting-edge ideas and allow professionals to take chances that they may not be able to with traditional client based projects. There are several different kinds of projects the most common being open competitions where all are allowed to submit their designs in a public bid. In comparison there are also invite only competitions where the prospective client will ask for bids from specific firms they are interested in working with. Open competitions, of course, are more difficult to win, as sometimes there are hundreds of entries. Competitions can be project based where the winners will continue on to build the proposed design, after further discussions and revisions with the client, but also idea competitions where the end goal is not construction but rather to break new ground in the field. Idea competitions often have cash prizes as awards, along with publicity for winning. While they may not bring in a large new project into your firm they have added benefits of allowing professionals to stretch their creative minds coming up with original ideas, which may in turn inspire or invigorate their practical work. Lastly, there are student competitions, which are generally restricted to students, but sometimes allow young professionals to enter as well. This is generally a sub straight of idea competitions, which allow aspiring designers and architects alike to show off their skills and contribute their ideas to the world. It is easy to see the benefits of participating in architectural competitions, but where do you find the right opportunities for you? Archdaily is an architecture blog that offers access to a wide range of architectural competitions. These competitions are both project and idea based and open to professionals and students alike. The competitions published here are open to public bidding. They focus primarily on the discipline of architecture in large-scale public buildings. Besides their competition platform the website showcases innovative designs from around the world, which can be a great resource for inspiration and precedent research. 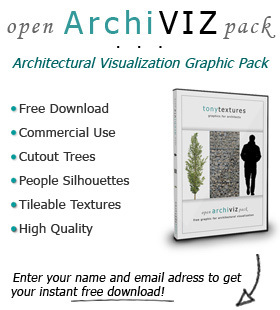 They have a wide variety of content from exhibiting new materials to interviewing successful architects. Competitions.org is a great platform where you can access a wide range of not only architecture but also landscape architecture and urban planning competitions. Unlike Archdaily they are not an architecture blog, rather they focus solely on providing information and awareness about different competitions. They focus on open bid opportunities, internationally. Here you can also browse through winners of previously posted competitions. The website also includes an area discussing selection criteria, and examples of professionals who have judged previous competitions. 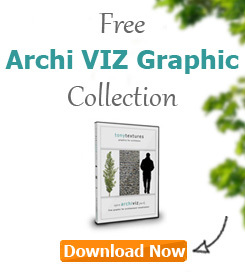 Competitions.archi is an architectural based competitions platform. They focus on idea-based competitions, from how to live on the moon to how to create more resilient energy systems or new responsive materials. The competitions are generally fun and creative, great for a quick mind stretching exercise with your peers. The competitions primarily offer cash rewards and are focused at students or young designers. World landscape architect provides exposure to competitions targeting landscape architects and urban planners. The competitions focus on public space, connections within large-scale city environments and sustainability. They focus on global open bid competitions, and with their endless entries you can be sure to find an opportunity that peeks your interest. Along with providing access to new opportunities they also showcase winning designs and ideas from previously posted competitions. Inhabit provides access to wide variety of design competitions from interior or industrial design to architecture and urbanism. They take it one step further to also include fashion design, graphic design, photography and even a specific category for disaster relief projects. While they provides a wide variety of competitions within different design fields they do narrow down their offering focusing on idea based competitions with cash prizes. Along with a vast array of competition news, they also offer inspiration and information on a large variety of categories from architecture to energy and transport and they even have a kids section on their website. You can also subscribe to a weekly newsletter to keep up to date with everything they offer. If you are looking specifically for interior design or interior architecture competitions then take a look at international interior design association. Here they list competitions for interior architects and designers while creating a platform to connect designers around the world to others that share their passion with other professionals. They offer resources on important topics within the field such as sustainability and ergonomics along with networking events. The one drawback here is that their postings for new competitions are quite limited, currently there is only one open competition posting. Azure similar to inhabit offers a wide variety of competitions within different design disciplines from planning to graphics. It is easy to sort through with a drop down menu that can help narrow the options for you so you can find exactly what you are looking for. Despite this wide range the selection within each category is not overwhelming offering only a handful of competitions in each category. Similarly to Archdaily, azure is an architecture blog and magazine. It provides a wide range of precedent research and inspiration. The major difference is that it has a wider range of focus, including art and design while Archdaily is more limited to general architecture. Azure also offers job postings for architects and design professionals primarily within North America. The competitions blog supports competitions focused on architecture but also urban planning and engineering. This creates focuses not just on design but also advancing technology. These projects are primarily open to the public and are idea based. They post the results to the competitions that they have offered previously on the website. You can subscribe to their newsletter to keep informed about upcoming projects and results. Buster offers a wide variety of competitions focusing in both the project and idea categories specifically in the architectural realm. The projects are all open for public bidding. The website also offers a events page where you can find awards ceremonies, city tours, presentations or discussion groups around the globe. They also offer a news and results page where they post both winning submissions and projects that have been built from previous competition project submissions. If you are looking for competitions that are specifically targeted at students, whether it is because you are studying yourself or you are looking for great projects for your class, try student.archmedium. They have in depth descriptions giving context and site information along with videos to help give the project real parameters, making it a great resource for students who are looking for more practical competition experience. They have about 20 projects posted primarily situated in large megacities around the globe. The benefit to this website for student competitions is that they aim to mimic professional competitions and practice with real life constraints. If you are looking for more theoretical projects try some of the other resources listed as most of the idea based competitions out there are also open to students. E-architect is a great platform for project based architectural competitions. They also offer some idea based and student targeted ones as well. For project competitions they occasionally take it one step further, requesting RFP’s as opposed to solely ideas. They also offer some of the larger cash prizes for winning the idea-based competitions. The projects are primarily architectural and are open to public bidding. Now you have a wide variety of resources that can help you find the right competition for you. If you are looking for real architecture projects with the potential to construct an innovative and iconic building Archdaily, Bustler or e-architect are likely a good place to start. Conversely, if you are looking to push yourself by coming up with some mind stretching ideas, and possible winning some cash while your at it then look no further than competitions.archi. If you are looking specifically for urban planning or landscape architecture projects world landscape architect is a great place to look, they have hundreds of options, so you will surely be able to find what you are looking for there. If you are looking for something at the opposite scale of design, in interiors architecture it may be slightly more difficult. However, try inhabit or azure as they have a much larger offering than the interior specific websites, like international interior design association, in a wide variety of different scales. Lastly a great resource for realistic student competitions is student.archmedium. However there area plenty of different competitions scattered throughout all of the different platforms with most offering at least a few targeted at students. For whatever you are looking for, to stretch your practice or your mind entering a competition can be a great way to start!